Using the Azure cloud can give you so much in terms of infinite scalability and ease of allocation. But what if you’re seeing your cloud storage footprint—and the costs associated with it—growing larger and larger? 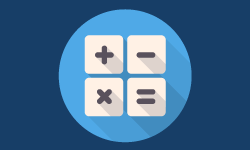 Calculate your native Azure storage costs and compare them to your TCO using NetApp’s Cloud Volumes ONTAP for Azure. Learn how NetApp’s efficient snapshots, data cloning, data tiering, and thin provisioning, data compression, deduplication storage efficiencies combine to dramatically reduce storage costs. See how other companies are already using Cloud Volumes ONTAP to optimize and improve the costs of deploying on Azure. Don’t let your cloud get out of control—watch the webinar to see a demonstration of the benefits of using Cloud Volumes ONTAP for Azure.